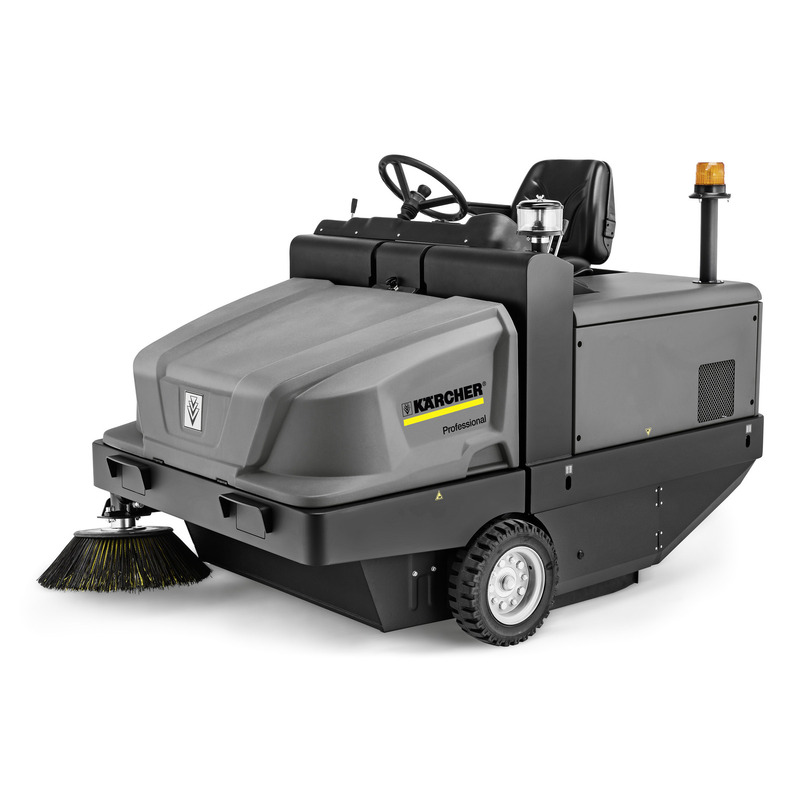 KM 130/300 R D Classic 11861390 https://www.kaercher.com/tn/professional/sweepers-and-vacuum-sweepers/industrial-sweepers/km-130-300-r-d-classic-11861390.html KM 130/300 R Classic sit-on vacuum sweeper with pocket filter, large sweeping container, robust steel chassis, easy lever operation, hydraulic rear-wheel drive and Flexible Footprint System. KM 130/300 R Classic sit-on vacuum sweeper with pocket filter, large sweeping container, robust steel chassis, easy lever operation, hydraulic rear-wheel drive and Flexible Footprint System. 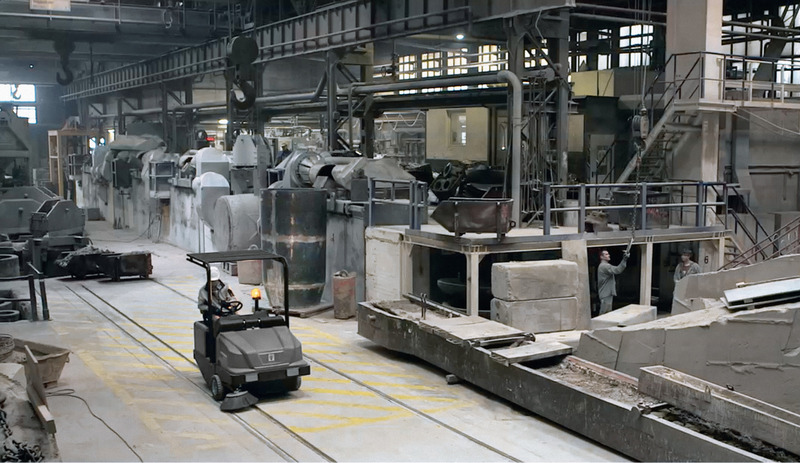 The durable KM 130/300 R Classic industrial sweeper is equipped for tough use in building material, metal and cast metal processing plants, and other dirt-intensive industries. The reliable sit-on sweeper can be operated comfortably and easily using the levers. The sweeping container is emptied using hydraulic container lift. The enormous capacity of the sweeping container is 300 L, allowing long periods of uninterrupted use. 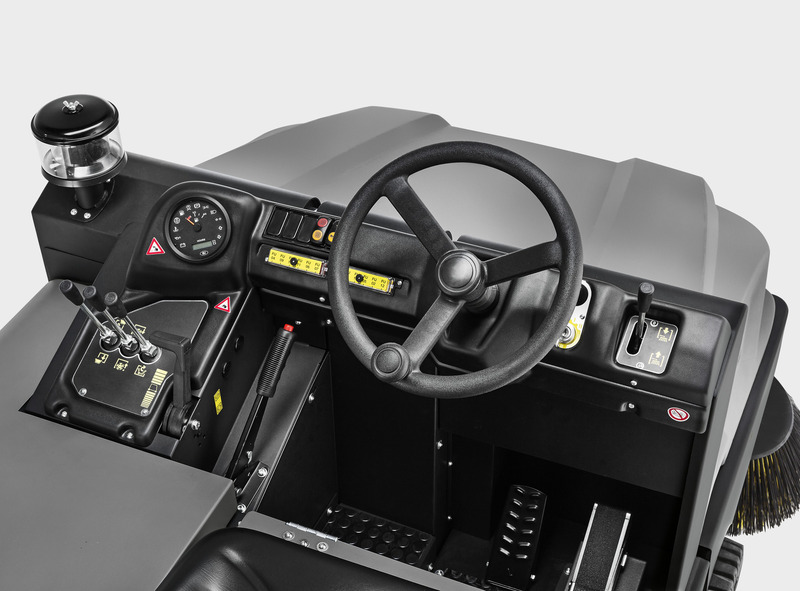 The machine is equipped for intensive use under the toughest conditions thanks to the robust steel chassis with multiple corrosion protection. The hydraulic rear-wheel drive ensures good maneuverability even in tight spaces. Another feature is the Flexible Footprint System which guarantees optimal sweeping results on varying types of floor surface – and all this with reduced brush wear. 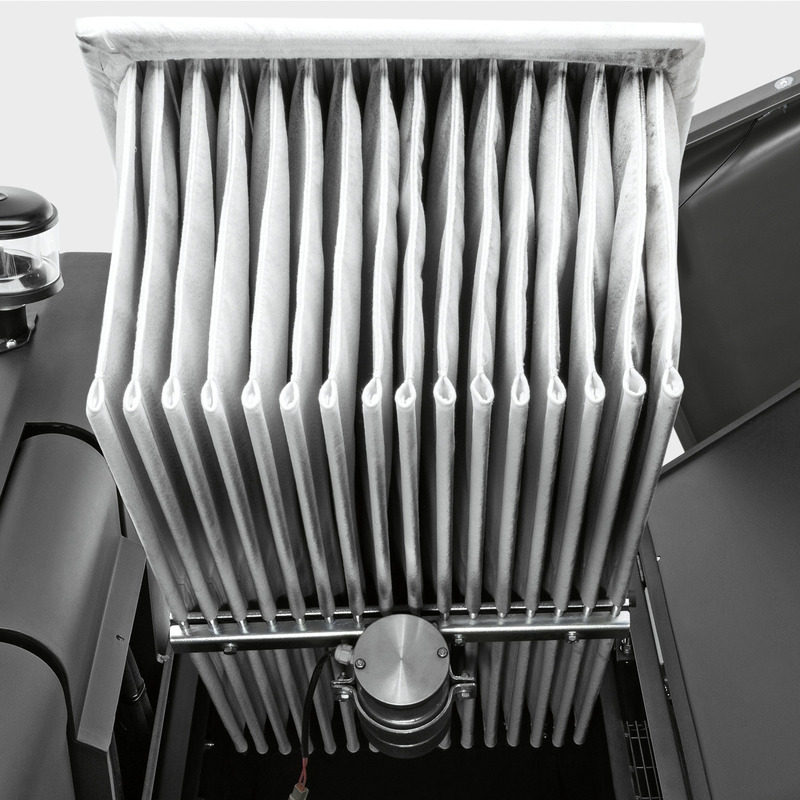 In case of maintenance and repairs, all the technical components are easily accessible. The standard solid rubber tyres stop interruptions caused by flat tyres and make sweeping on all types of ground possible.